Beginning from ancient theme with modern component, we try to apply it into a chess piece. This chess piece called as Custom Chess with Kingdom theme. This is the King chess with full face looks, so that it more unique and different. The design itself has adopted from King performance in ancient era. By combined two different basic, the custom chess piece will become an artistic wooden product. 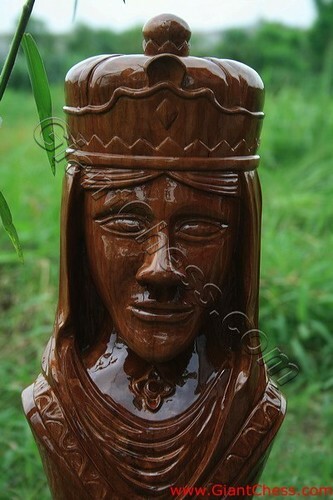 Crafted from the finest Teak wood material, this unique and antique chess piece will make your home more artistic. This carving masterpiece is heavily weighted, felted, and have been meticulously handcrafted to replicate the design and proportions. The only one in the world which made of talented craftsman from Java island - Indonesia.